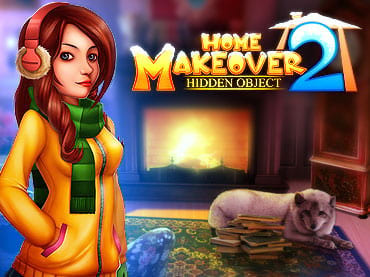 Get started with a jumble sale and bring the old place back to life in Hidden Object – Home Makeover 2, an addictive power pack of hidden object, time management, and match 3 all in one. If you like this free game, try Home Makeover. Help Emma save her Uncle's house and decorate it! Get carried away in an immersive Hidden Object adventure story line. Find objects inside this old estate by the river. Sell Hidden Objects to neighbours for money to restore the place with new furniture, find the missing house deed and more! This game is sure to take you on a fun Hidden Object adventure you won’t want to step away from. - Return every day for free bonus coins in the Daily Spin. If you have questions about Home Makeover 2 game, please contact us using this form.